The history of the world is rife with horrible wars, brutality and cruelty waged on one people by another as an “act of faith.” We need not provide you with examples — follow the news and this story plays out all too often. The bitter irony is that the true prophets of the various faiths in the world call their followers to live in community together — to support each other, to love and not to hate. No wonder more people are turning away from faith altogether. Why are we talking about faith at AFS? Because around the world, faith is an integral aspect of culture in many ways. Because issues of faith are often divisive and difficult. Because our efforts at intercultural understanding can both inform and be informed by interfaith dialogue. Interfaith dialogue, also sometimes referred to as inter-religious dialogue, is ideally an open and respectful exchange of views between individuals and groups with different religious backgrounds and heritage based on mutual understanding and respect.This dialogue helps us address living in a diverse and multicultural world, even if we don’t always understand all the differences we encounter. As long as it is conducted with mutual respect, interfaith dialogue moves us towards fulfilling a shared responsibility for the world around us. This is precisely what global citizenship education prepares people for, and where intercultural learning plays a key role. The values, knowledge and skills emphasized in intercultural education are based on respecting human rights, social justice, diversity, gender equality and environmental sustainability — and these skills empower active global citizens. The shared values between intercultural learning, global citizenship education and interfaith dialogue are many. All three promote peace, compassion and respect. They encourage us to learn more about our own identity and culture, as well as of the identity and culture of others. This knowledge helps everyone better understand the similarities and appreciate the differences and diversity of humankind. Learning about other religious beliefs and faith practices is an important part of intercultural understanding today. Although we often think of “interfaith dialogue” in terms of official or formal meetings between leaders or experts, we encounter opportunities to discuss faith everyday. And these types of informal conversations — between AFS participants and host families, in schools or among neighbors — can lead to understanding and fellowship instead of distrust and barriers. One of the most overlooked and basic intercultural skill is listening to understand instead of listening to respond. Active listening helps you focus on what is being communicated — asking questions to clarify and confirm what was said. It also includes sharing feedback to establish mutual understanding. For many people, their faith or their choice not to pursue faith, is in integral part of who they are. Therefore, when you make assumptions or conclusions about other people because of their beliefs or faith practices, the reaction can be very strong, leading to conflicts. Even the most interculturally competent people can lose perspective when they feel judged on a core value like their faith. That’s why discussing such issues without offending others requires being open minded and using effective communication skills such as active listening. 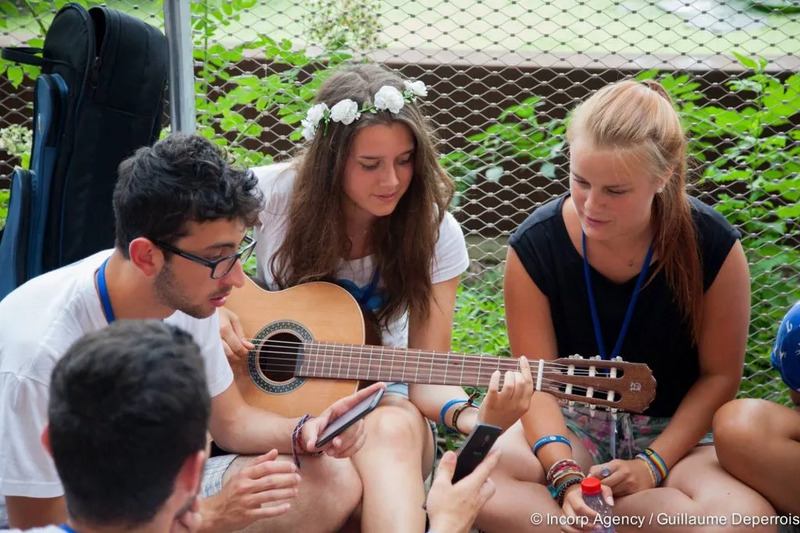 AFS and other leading intercultural learning organizations often stress the power of “learning by doing.” In fact, AFS experiences are designed to encourage program participants, volunteers, host families and staff to try new things and consider new perspectives as a way to connect with others. However, sometimes these “experiences” cause internal conflict or discomfort. For instance attending and participating in ceremonies or celebrations of different faiths may make you feel like you’re renouncing your own faith. That’s why the “learning by doing” approach requires thinking of new experiences as pathways to a deeper understanding of other people. But just having a different faith experience is not enough. Finding a safe space to 1) reflect on how the experience made you feel; 2) compare the similarities and differences, and 3) discuss the values that may provide the foundation for this faith helps you process your new experience and, hopefully, broaden your perspective. That’s why “learning by doing + reflecting” can lead to more meaningful connections with people of different faiths and developing honest and open relationships that help individuals better adapt to new surroundings. It can also enhance how you think about and engage in your own faith. For just this instance think about how experiencing a new faith can be like learning to cook different ethnic dishes. When a Finnish AFS exchange student hosted in Japan learns how to prepare Japanese dishes, he or she also learns interesting things about Japanese customs and flavors. Equally as important, the student may also consider how these customs and flavors can bring new dimensions to mealtime in Finland. Learning to cook and understanding the role of cooking in another culture does not diminish how exchange students feels about their own culture. So it is with faith. A Muslim student who visits a Christian church can come away with a deeper understanding of Christianity and how the culture of the surrounding community has been shaped by this faith. Additionally, the student may develop a deeper appreciation for her own faith and how it has shaped her own life. AFS is committed to raising awareness of the important role cross-cultural human connections play in solving global concerns together — including the underserved aspect of positive interfaith relations. We encourage schools, religious and interculturally enlightened organizations and communities to work together to find innovative and practical ways to foster positive personal connections across religions. Written by David Blythe, Manager of Program Policy & Support, AFS Intercultural Programs and Milena Miladinovic, Educational Communications Consultant, AFS Intercultural Programs. 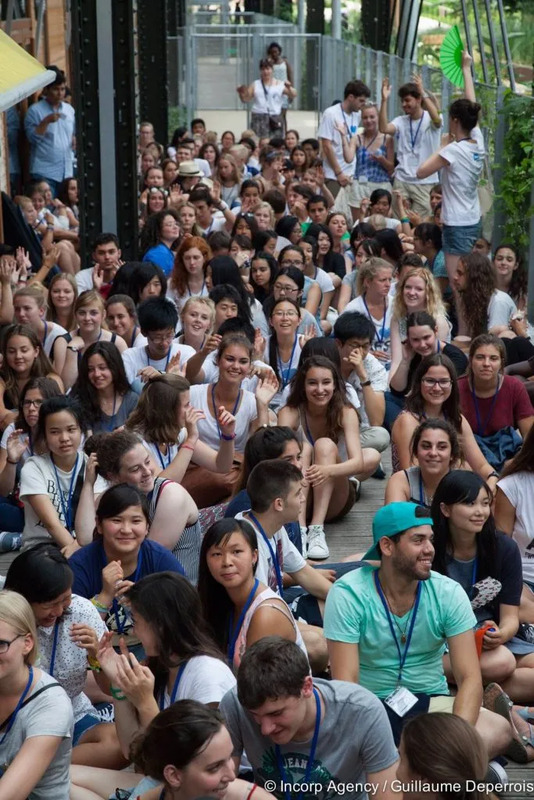 Originally published in Connect: Intercultural Insights for Global Citizens — curated by AFS Intercultural Programs. HOST AN INTERNATIONAL STUDENT COMING TO SOUTH AFRICA IN 2017!